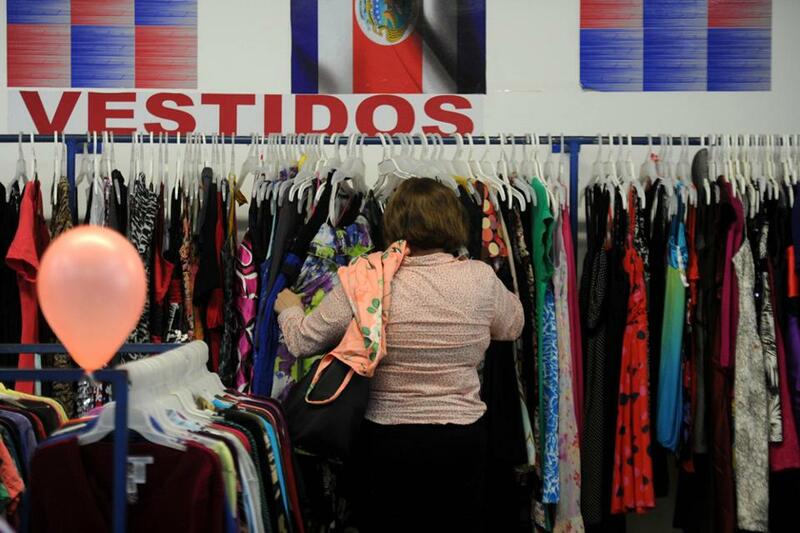 In Costa Rica, Ropa Americana stores are breaking down the barriers and overcome stigmas. Besides the used clothing, some stores may also have practically new items that are unwanted gifts, such as birthdays and Christmas, from outdated collections. You’ve see them, the “Ropa Americana” stores. They’re all over. For the uninitiated, the first thoughts are, ‘wow, I can get american clothing here for cheap”. But, you’d be wrong. The prices are cheap because the garments aren’t new, they’re used. Yes, used clothing. Yes, used clothing from North America. You won’t find any “Goodwill” or “Salvation Army” stores in the country, given that many Ticos just give their used cloting to family members of friends. 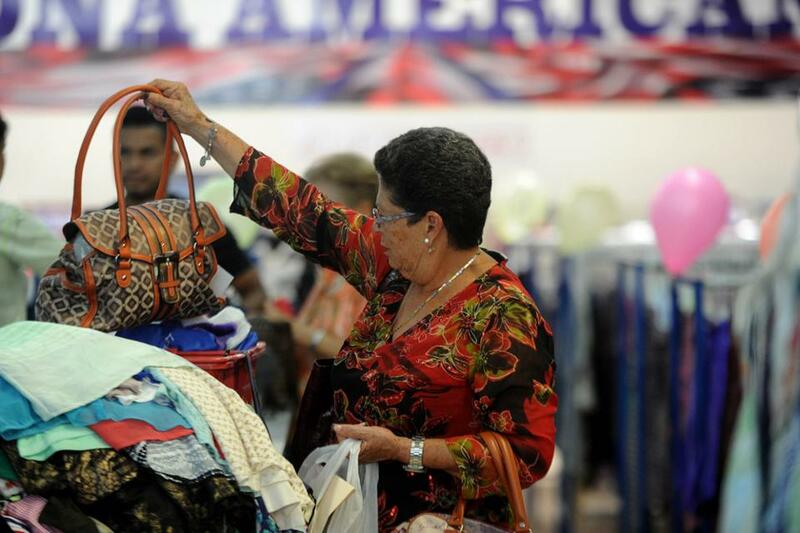 In Costa Rica the “Goodwill” or “Salvation Army” stores to buy used clothing are the “Ropa americana” stores. In fact, Goodwill and The Salvation Army are two of the institutions that receive the clothing that Americans and Canadians wanting to give a helping hand to social causes, donating their used articles. And they make their way to Costa Rica. How does the used clothing arrive in Costa Rica? Despite that both Goodwill and Salvation Army maintain a network of stores, thousands across the United States and Canada, the amount of merchandise is so great that these organizations end up selling it to sell them to third parties to sell and export them aborad, to places like Costa Rica. According to a report by El Financiero, up to 90% of the used garments that importers buy to sell in the country are from the United States, the rest from Canada. Ropa Americana stores are typically large, some even huge, clean, organized and have clothing for every member of the family. One of the notable differences, besides the type of product and interior (few are done up), is the staff. At the Ropa American stores you won’t have to deal with the annoying habit of sales staff following customers around at every turn, ‘watching’ your every move. And of course the prices! Some even have American names and an American flag or two. With clothing for as little as ¢1,000 colones, the Ropa Americana store is far from trashy. Besides the used clothing, some stores may also have practically new items donated that are unwanted gifts, such as birthdays and Christmas. Or from outdated collections. Or moving to Costa Rica? 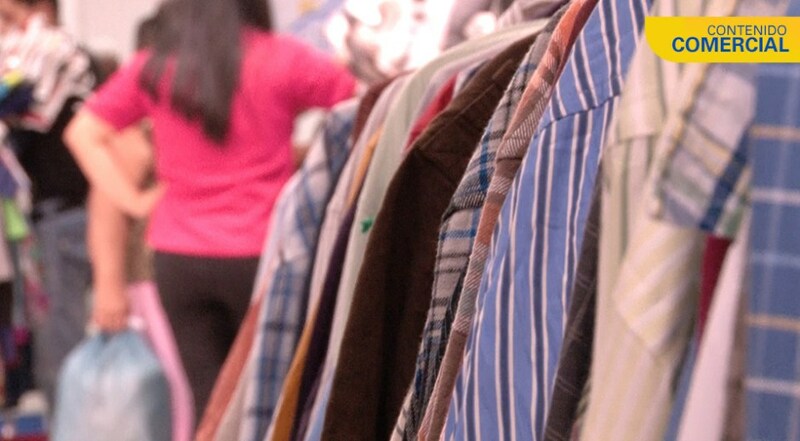 Importers who travel to North America to buy the used garments that they will later sell in Costa Rica, have an opportunity to select the merchandise according to their standards or accept pre-made packages or bales (pacas in Spanish) without the opportunity to inspect the merchandise beforehand. About one-third of the garments imports are premium. These include brands like Nautica, Levis, Lee and Tommy Hilfiger, many more brands, mixed in packages of a 1,000 pounds that can be up to 3,000 garments. That figure can change greatly say if the items are children’s clothing, with up to 4,500 garments per package. 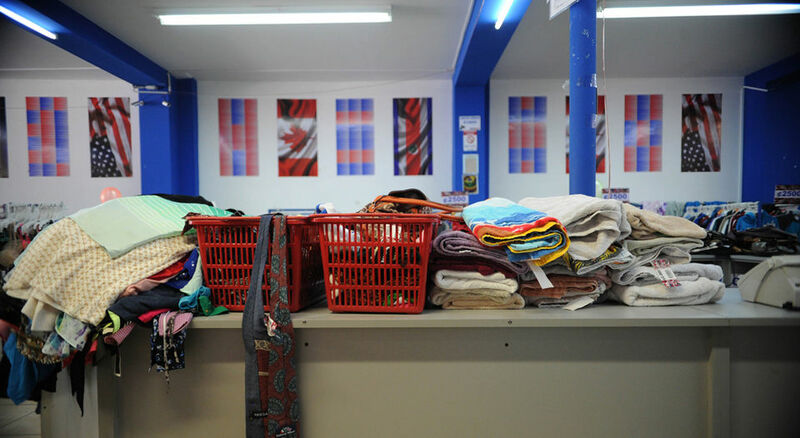 The market for used clothing in Costa Rica is questioned by importers of new clothing and textile producers at the local level, claiming that this sector has disproportionate advantages. 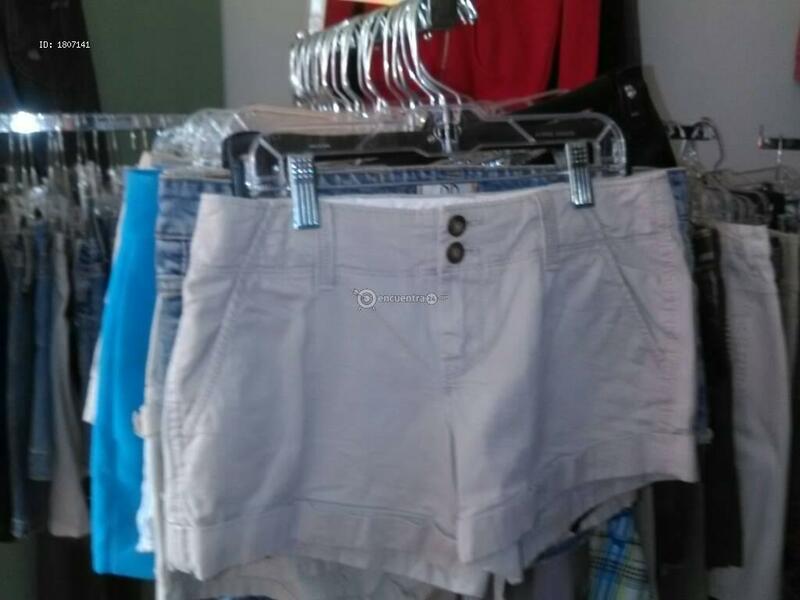 For example, Costa Rica importers of used clothing are not required to label the goods. Therefore, the consumer does not actually know from where their purchase comes from. However, used clothing stores have a duty to tell their customers that they are purchasing used garments. Otherwise, Cynthia Zapata, director of the Consumer Support at the Ministry of the Economy, said the vendors may face fines from between 10 and 40 base salaries (currently between ¢4.2 million and ¢17 million colones). Another issue is taxation. The new clothing and textile producers complaint of unfair advantage of Ropa American importers and stores, who are alleged to not fully declare the value of the goods imported and/or the lack of enforcement by the Tax Department to keep an eye on the sellers of used clothing. A critic of the Ropa Americana is Rodolfo Molina, president of the Camara Textile Costarricense (Cateco) – Costarican Textile Chamber – who told Diario Extra last year that said: “the clothing comes from anywhere except the United States”. The Ropa Americana concept landed in Costa Rica some three decades ago, promising quality clothing at low prices. The concept caught on, however, it became exclusive to a certain social class and from there it became a taboo subject. However, the proliferation of stores and diversification of the business led Ropa Americana stores to break down the barriers and overcome stigmas. Today, the market for used clothing continues to grow. With some 500 employees, 59 locations and two decades under their belt, Tiendas Sinai is the largest of the Ropa Americana stores. “Now, it is not the same as a some years ago. We see here all kinds of people without distinction of their economic capacity. We get visited by people who come to buy ‘the premieres’ of Christmas and others who just want to take the opportunity to buy that brandname ‘jacket’ that elsewhere is worth several times the price. There is everything,” Ólger Alpízar, general manager of Sinai, told Telenoticias some months back. 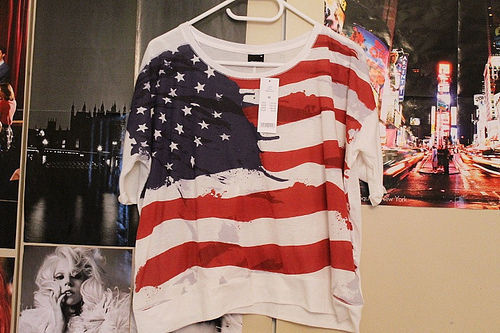 How Fashionable Has Shopping Ropa Americana become? Such that the trend to shop Ropa Americana is such that some retailers are dropping the ‘importadora’ or ‘tienda’ before their names, a concept used for decades, to names such as K’Barato (how cheap) and Mundo Americano (American World). Typical merchandising is a price level that is affordable. Everything for ¢1,000 or ¢2.000 colones is a bargain for thrift shoppers, and reduces costs for the retailer less preparation time, less personnel, less expenses, that all translates into a lower cost for the consumer. The trend for this type of clothing store is moving away from the downtown streets and markets to shopping centers. The trend is also catching on in the online world. You can find Ropa Americana to buy in lots at Encuentra 24, OLX and Mercado Libre, among others. A few tips for shopping at a Ropa Americana store. Have lots of time on your hands. Don’t go in rushed for time, having to be somwhere. Have the time to sift through the different garments, some stores bring out new lots at certain times, with a big announcement. You can even make it a pastime. Remember size matters. For the most part the garments are from North America, meaning a Medium, Large and Extra Large is different than the M, L and XL at the new clothing store. Remember from earlier the “premium” clothing? Take the time to inspect the garment closely. Don’t be fooled by the price levels, items in the ¢2,000 or ‘Flash Fashion’ are necessarily better than the lower prices items. Pay attention to the details. Although classified as used, a ‘never worn’ item a ¢1,000 colones is a better deal than a ‘previoulsy worn’ one at the same price. Shop around. Each Ropa American store is different, from merchandise selection, quality, reputation and overall shopping experience. Need more than just a few items? Check out Mercado Libre, where you can buy your own ‘paca’ (bale) starting at ¢50,000 colones for a 100 lbs.